This month, we'd like to let you know about two important reprints, a new edition of a blast from the past, and something new coming later this year. 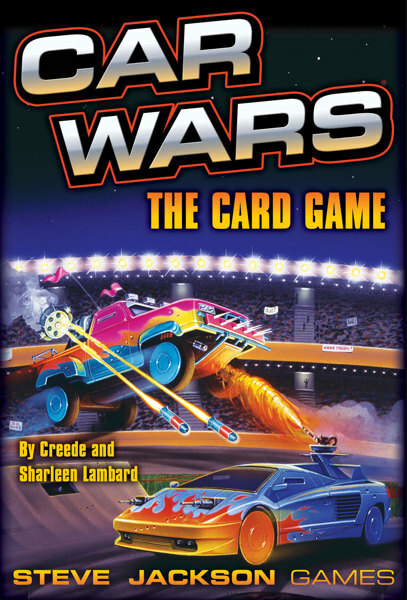 First, Car Wars Classic will be back in print in July. 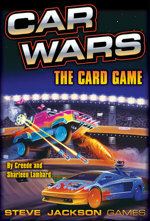 Also in July is our new edition of Car Wars: The Card Game. We talked about this a little bit over at the Car Wars Arenas Kickstarter, but now we're announcing it officially! 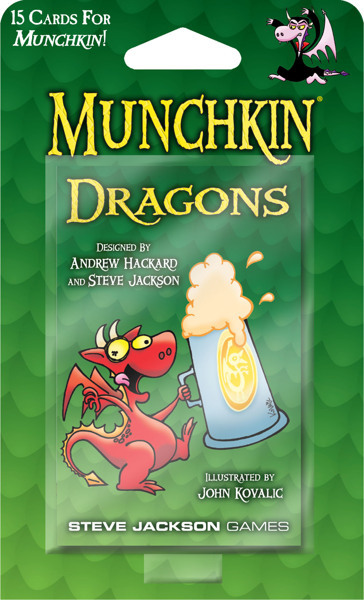 Then, in August, we're reprinting the Munchkin Dragons booster. 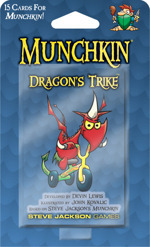 To go along with this, you'll get a brand new booster: Munchkin Dragon's Trike! He triggered the rear guns once more. A direct hit! The blue car skidded as the driver lost control -- then flipped and caught fire. That would teach him not to tailgate . 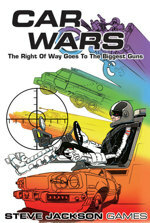 . .
Drive the freeways of the future -- where the right of way goes to the biggest guns. Players choose their vehicles -- complete with weapons, armor, power plants, suspension, and even body style. Then they take them out on the road . . . to come home as "aces," or to crash and burn. If a driver survives, his abilities improve, and he can earn money to buy bigger and better cars. Advanced rules let players design their own customized cars, trucks, and cycles. Playing time 30 minutes and up, for players 10 and older. Any number can play . . . games with 2 to 8 are best. 103 full-color game counters and separate Turning Key. 64-page rulebook, plus extra tables and record sheets. 2-sided game map, with autoduel arena and raceway. Dragons are fearsome! Dragons are cool! Dragons have LOTS of treasure for munchkins to loot! 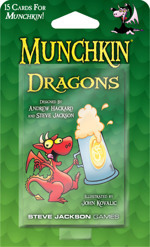 Munchkin Dragons has 15 new cards. The treasures are wondrous indeed . . . but first, you've got some dragons to slay. Good luck. This is an expansion for Munchkin. It is not a stand-alone game. This is NOT a collectible or randomized set. Every Munchkin Dragons pack is the same as every other. You stirred up the nest and now Dragons are everywhere! Big ones, tiny ones, even undead ones. 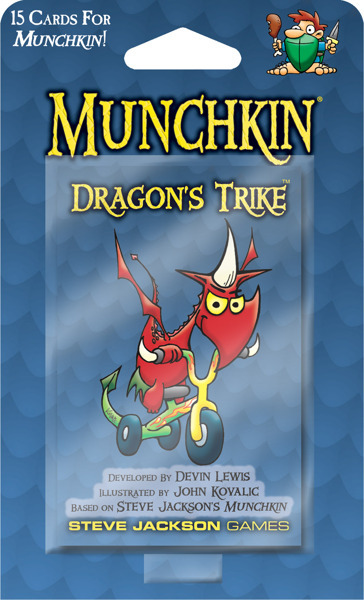 Munchkin Dragon's Trike has 15 new cards. Kill enough Dragons and you might even be able to start your own treasure hoard . . .